Get your basket, blanket, bottle of Pimm's and your choice of accompaniments. All set? We’re going picnicking. If, understandably, the idea of traipsing through London Fields through plumes of barbecue smoke and unscrupulous electric scooter users laden down with your lovingly packed picnic fills you with dread, then this is the list for you. Because is there really anything more quintessentially British than a good picnic? Naturally, a picnic with Pimm’s. 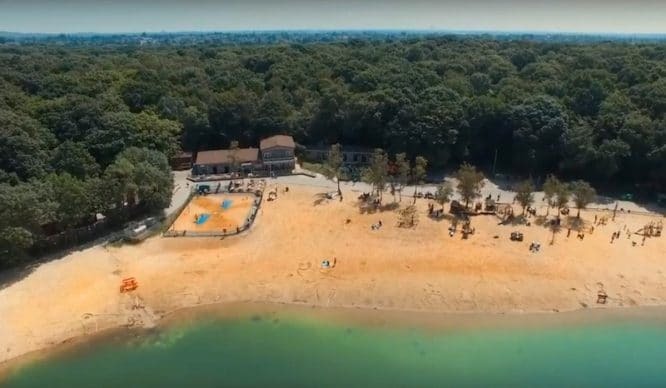 Throw in some blazing sunshine, delicious food and the perfect location and you’re all set. For the ultimate cheat-sheet stress-free picnic we recommend Melrose & Morgan’s pre-made picnic hampers. Save yourself the hassle of forgetting cutlery, napkins or something equally dull but important and settle down with a traditional British picnic. Based in the heart of London, 60 percent of Melrose & Morgan’s picnics are made in-house and feature all the necessary picnic requirements, like fancy cheese, chutney, salad and, of course, strawberries. 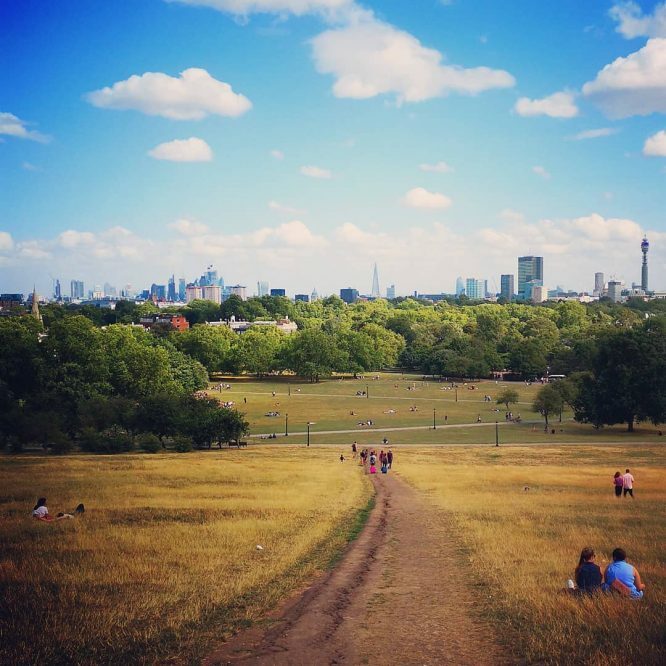 For an evening picnic where you can watch the sun go down with an impressive view of London, head to Primrose Hill. 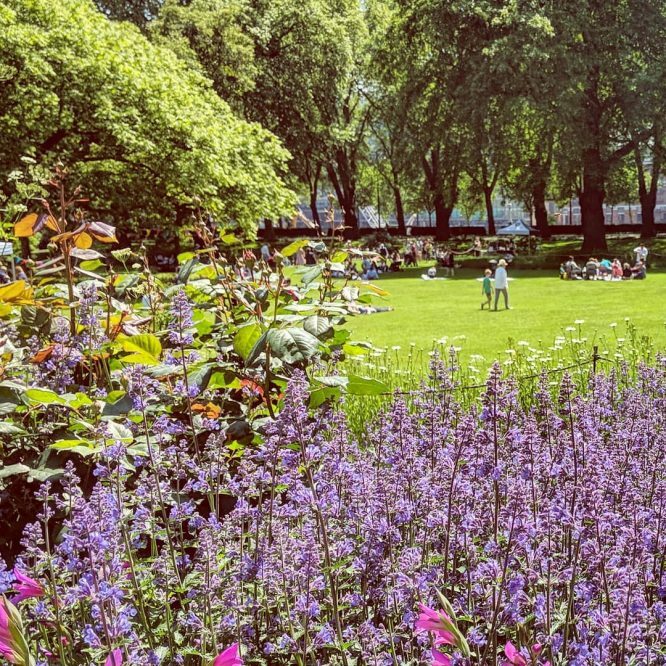 Push past the crowds of Regents Park or stumble away from the hustle and bustle of Camden high street and suddenly you’ll find yourself surrounded by the serenity of this picnic spot. Primrose Hill has a clear view of all of the top sights in the capital and is actually one of the six protected viewpoints in London. Sure, the hill itself is a little on the steep side but position yourself towards the highest point and you’ll find the ideal location to lay down your picnic blanket, sit back and enjoy some food and a drink. 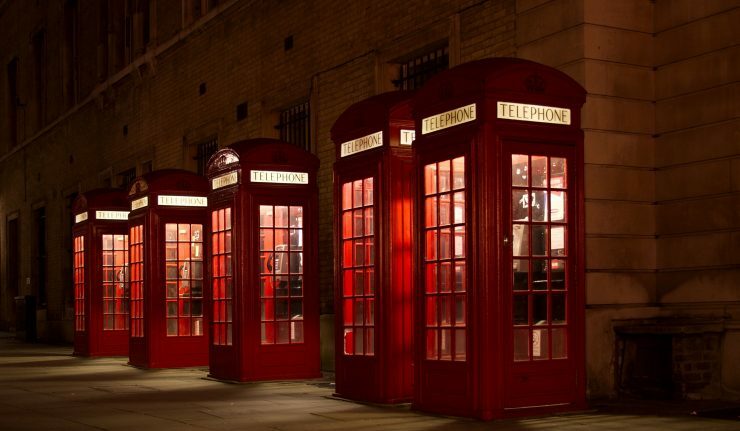 In one of London’s most quintessentially British spots, we suggest pairing a drink to match – the Pimm’s Number 1 serve. For best results (and a very Instagrammable spread), pre-chop some oranges, strawberries, cucumber and mint to bring along in a cool bag. Crack open a bottle of Pimm’s with some ice-cold lemonade and stir all ingredients together for the perfect evening. 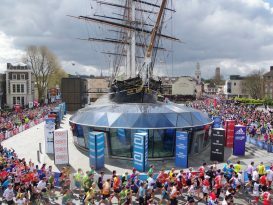 Amid South London’s excellent park scene lies a gem to the South West. 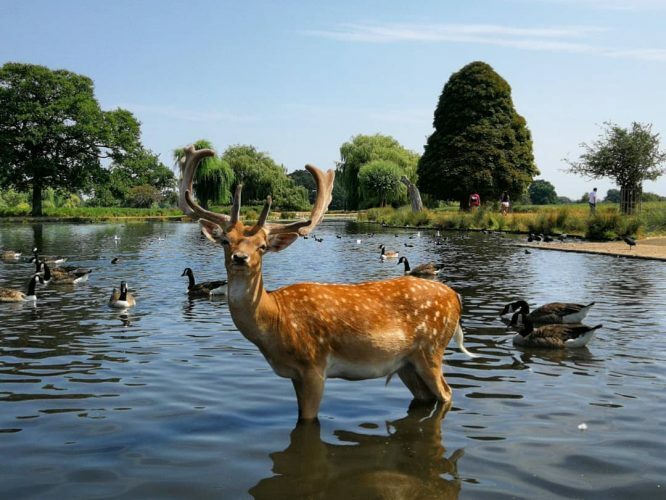 If you venture a little further out past Richmond Park, you’ll find Bushy Park – the second largest of London’s Royal Parks. The Waterhouse Woodland Garden and the Upper Lodge Water Garden are some highlights. Being a large and varied place to wander, you’ll be spoilt for choice on picnicking spots – sat between avenues of chestnut trees, or reclining waterside by the baroque fountains, or by the river with your Pimm’s of choice – we suggest a bubbly Pimm’s Spritz for a summery dose of refreshment. Aside the obvious ingredient, you’ll need some chilled bubbly and ginger ale for the core ingredients. Then, add strawberries, cucumber, orange and mint before serving with ice. Beware of waterbirds – choose somewhere away from the banks to lay out your cheese Ploughmans and charcuterie board. This park is a favourite of wildlife lovers – it’s a Site of Special Scientific Interest for its range of habitats that support all kinds of species. You’ll be sure to spot red and fallow deer – they can be quite friendly and inquisitive – dog owners keep your pooch on a lead, and keep your picnic delicacies under supervision to be ready for these majestic creatures! 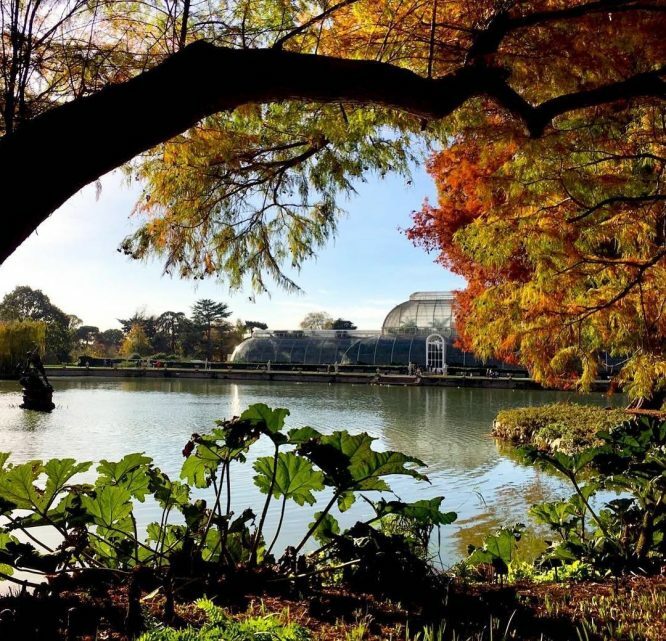 Only 30 minutes from central London lies Kew Gardens in all its glory. Here, you’ll find the most diverse collection of living plants in any botanic garden in the world, and also a great, fairly hidden picnic spot. The gardens are so big that it’s easy to find your own section, away from the rest of the general public. Most people go to Kew to check out the plants and flowers but it’s also one of London’s finest spots for setting up camp for a few hours. Kew’s botanical surroundings work deliciously with a fresh and crisp Pimmlet, brimming with fresh lime, cucumber, mint and a dash of gin for good measure – the perfect pairing. Surrounded by nothing but greenery, you’ll feel worlds away from the city. And when you’re done eating and drinking, have a wander around the grounds to sample everything else that’s on. From aerial performers to floral illustrations and guided tours, it’s definitely a place to spend a day. In the vast expanse of East London’s marshes, you won’t feel like you’re a stone’s throw from Zone 2, or even within the M25 for that matter. 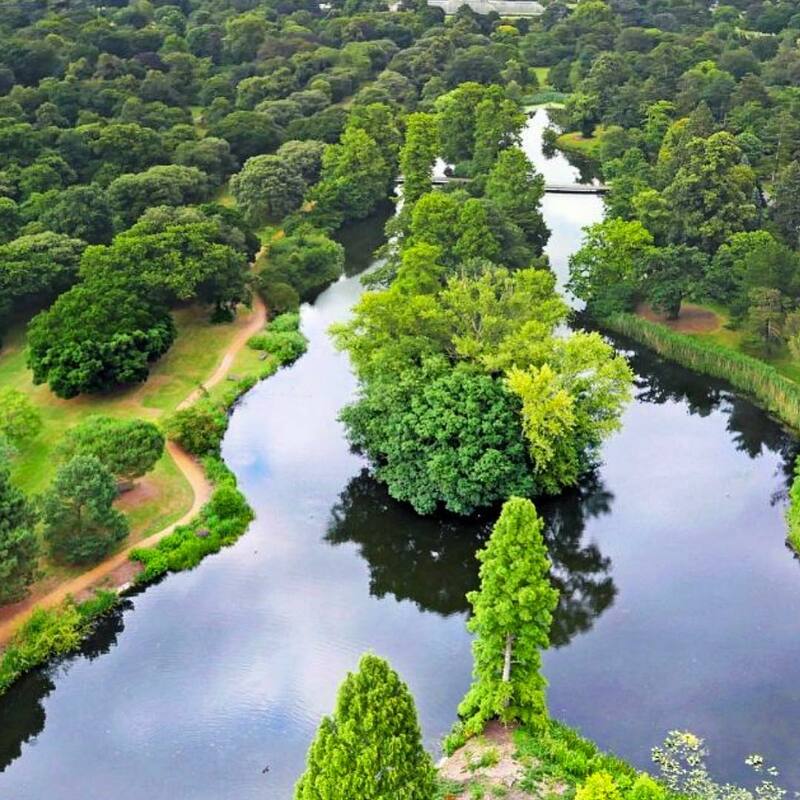 This is the place to get your dose of nature without braving the crowds of more crowded open spaces Hampstead Heath or Regents Park. 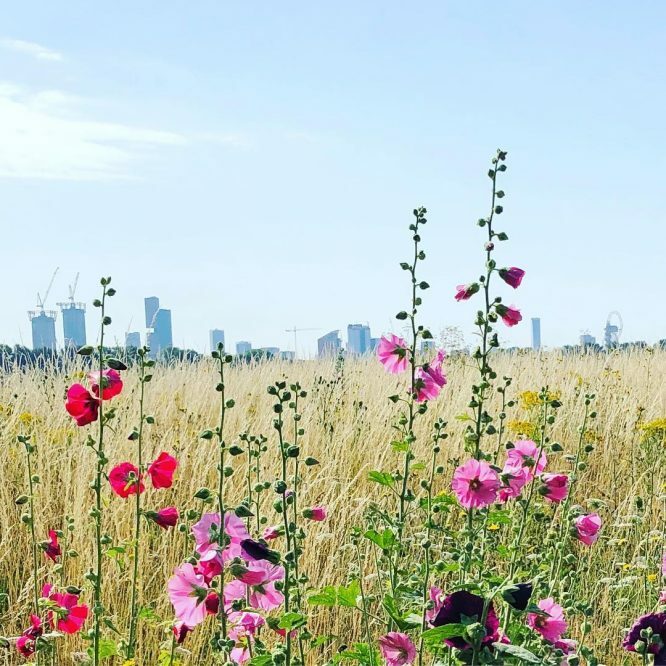 One of the largest open spaces in London, the marshes is full of idyllic secluded spots for picnics out in the open, by the river, or nestled amongst wildflowers and hedgerows. This is a great place to have a relaxed trundle on your bike, taking views of nearby Stratford Olympic park. Also nearby if you fancy cooling off, the Lea Valley Ice Centre is accessible through the walking trails. Among all this nature, you’ll need some refreshment – we suggest something summery sun-drenched – the Pimm’s Sundowner, bursting with lemon, orange and apple juices, this bright cocktail will look extra Instagenic in the sunset over the marshes. Hidden just around the corner from Temple underground station is the aptly-named Inner Temple Gardens. You’ll find a huge variety of colourful trees and flowers surrounding the border of the park which change between tulips and forget-me-nots to poppies and dahlias depending on the season. 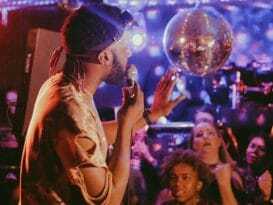 Here’s the catch: It’s one of the few places in London to have been kept a secret up until now because of its limited opening hours. The gardens are open to the public between 12 p.m and 3 p.m, which takes a bit of pre-planning but also makes it the perfect spot for a lunchtime picnic. And, because not everyone is aware of these hours, the park is usually fairly quiet. A colourful location calls for a colourful drink. 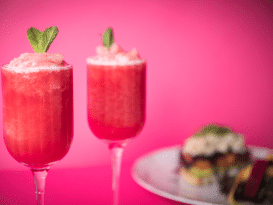 We’re talking only the brightest and best cocktails to supplement your picnic here – think of a berry-hued Pimm’s Tropical, a tangy, tart and deliciously opulent medley of Pimm’s Blackberry and Elderflower, grenadine, pineapple and mint. It might be a slightly higher level of organisation than your average picnic, but it’s definitely worth it for the pictures. 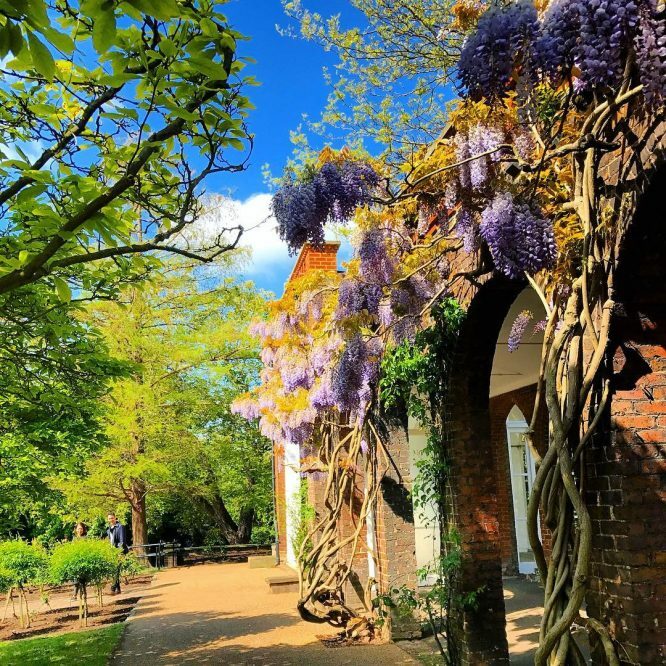 If you’re going for a picturesque and sensory picnic spot, Holland Park has so much to offer despite its comparatively petite size. There’s lots to love about this park. It’s especially good for those wanting a relaxing place to while away an afternoon with friends or a lover. Holland Park’s Kyoto Gardens are a haven of zen and tranquility. On the site of an old Jacobean mansion, the park has beautiful formal gardens with gorgeous planting, ponds and running water to soothe the senses. Exercise your mind with a game of outdoor chess, and stroll through the wooded areas find a grassy spot tucked away, perfect for a Pimm’s Fancy on the lawn. Home to peacocks and almost alarmingly tame squirrels, you’ll feel at one with nature. A very classy spot for a picnic. Get your basket and blanket, we’re going picnicking! We want you to enjoy your picnic, but please drink responsibly.